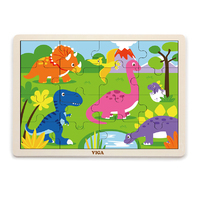 A 24 piece wooden puzzle with tray with a colorful dinosaur theme. 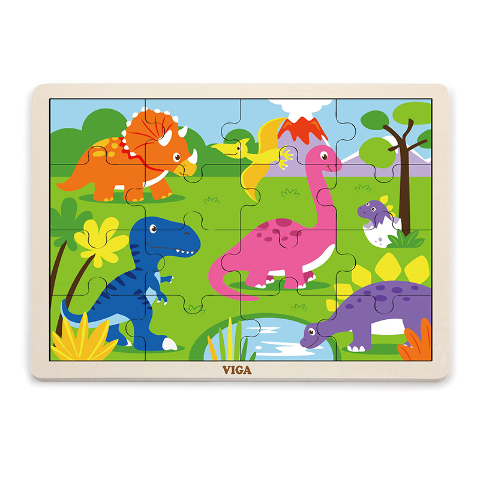 Made with child safe finishes and solid hardwood. Puzzle measures 12" x 9".